Register your child (6-16) for a free custom-fitted sports mouthguard at our Keene Office located at 105 West St. This event is taking place on Wednesday, April 11th from 4-6pm. Program dates are Saturdays, March 3, 10, 17 and 24, 2018 • 9:30am–12:30pm. 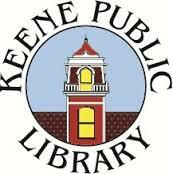 Keene Orthodontic Specialists’ free SAT Prep course is scheduled for first four Saturdays in March at Keene Public Library. We are also very pleased to welcome back Mrs. Jessica Smith, a highly regarded English teacher at Keene High School, who will present the English segments. Registration BEGINS on Monday, January 2, 2018. No registrations can be accepted prior to January 2. During January, registration is open to high school JUNIORS only. Starting February 1, students from other grades are welcome to sign up, if space permits. We are pleased to be holding our Fall mouthguard clinic on Tuesday, August 29th from 5:00-6:30pm. This is open to all children ages 6-16. Your child will be fitted for a custom mouthguard, which will then be ready a week (or less) after August 29th. They can choose from an assortment of team colors. We do offer straps for sports requiring a helmet strap. In a recent survey, the American Association of Orthodontists found that 70 percent of parents said their biggest fear is that their child will get hurt while playing organized sports, yet 67 percent admitted that their child does NOT wear a mouth guard during organized sports including football, basketball, soccer and lacrosse. 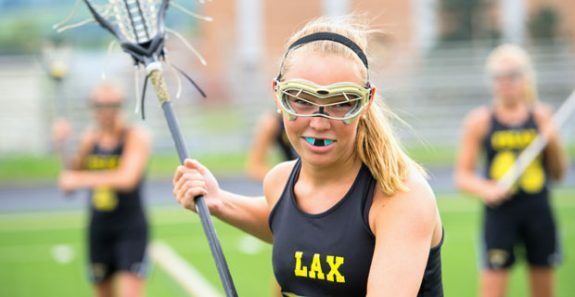 The National Youth Sports Safety Foundation says that athletes who do not wear mouth guards are 60 times more likely to sustain damage to their teeth. Protect your child’s precious smile with a mouth guard. The American Dental Association estimates that mouth guards prevent more than 200,000 oral injuries each year.